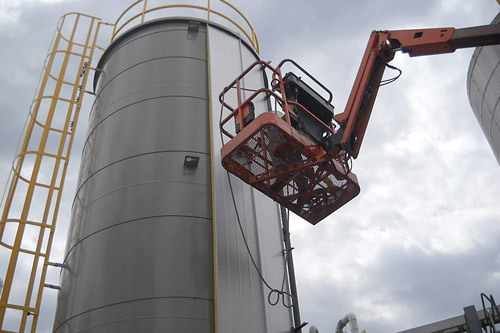 Banks Industrial Group provides you with a safe and reliable network of quality contractors and suppliers for above ground bulk storage tank insulation and related industrial services. 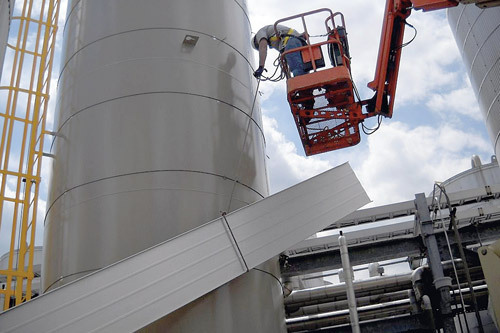 Our vertical-panel thermal insulation provides the most durable, maintenance-free system available for the temperature control and energy efficient operation of above ground storage tanks and vessels. We manage the entire process from start-to-finish, including: engineering, project management and resource coordination. This benefits our clients accordingly with simplified paperwork, fast response and consistent quality. We eliminate costly subcontractor overlaps and multi-sourcing headaches to allow the customer to focus on more pressing issues. BIG is fully insured, OSHA compliant and ISNetworld Certified A+ with documented safety conformance. We train and certify our crews continuously, and subject them to regular drug and alcohol surveillance. In short, you can be sure they have the required qualifications to get your job done safely. We consult with each client in order to engineer a storage tank insulation system that suits the exact operational requirements. Design factors include: tank dimensions, operating temperature, operating environment, wind load, closure details and flashing. All things considered, this information enables us to recommend the best solution possible while minimizing the chance of any unforeseen job challenges. BIG can rapidly fix any unexpected challenges discovered during an insulation project. 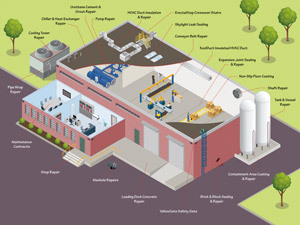 Moreover, we can solve your corrosion under insulation, leaking tank base problems, and thin-wall / through-wall defects. As a result, we help to minimize downtime by placing your assets back in service faster­–and keeping them in service longer. We provide our customers with superior customer service and a durable insulation system that saves money through increased energy efficiency and reduced long-term maintenance costs. Insulated fire protection water storage tank. 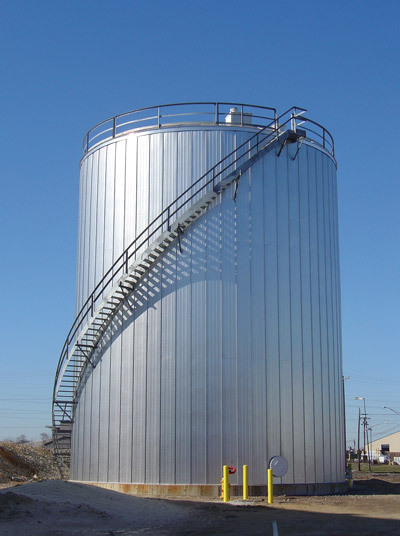 Our vertical-panel insulation system applies to small storage tanks. 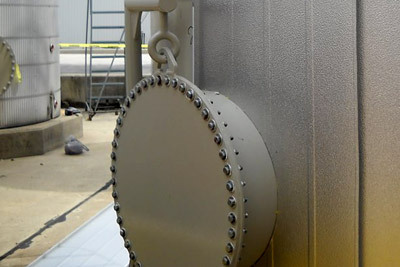 Our vertical-panel sidewall insulation for bulk storage tanks is a high quality, durable product designed for fast installation and long-term, weather resistant thermal control. Applications include: oil, gas, asphalt, chemical, fire protection, thermal energy storage, brewery, and food product storage and processing. BIG’s composite insulation panels use foil-faced polyisocyanurate (PIR) foam laminated to a stucco texture, polyester-paint-finish, aluminum outer sheathing. The panels measure 24-inches wide–we cut them to fit the exact height of your tank. This made-to-order approach saves you money by reducing build time and labor costs. We can match insulation panel R-values (the measure of thermal resistance) to the exact thermal requirements of your tank. We construct our panels from closed-cell foam that requires less thickness than other materials to meet the desired performance criteria. 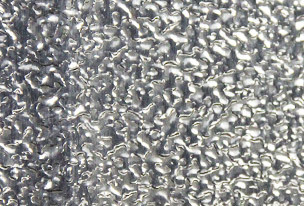 Foil faces on both sides and top edge of the foam create a moisture barrier that provides additional R-value by reflecting radiant heat. 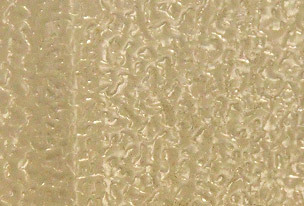 Polyiso foam resists moisture with a <0.3 perm water vapor transmission and <1% water absorption which helps maintain thermal efficiency and reduce potential for corrosion under insulation. 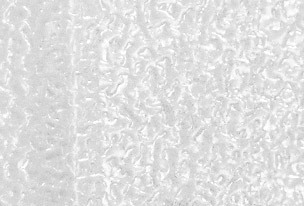 We can add optional inner-face layers of mineral wool, fiberglass, calcium-silicate or foam glass to the panels in order to extend temperature range. Our panels use machine-formed, double-locking, standing seams to create a watertight seal with superior wind load resistance. 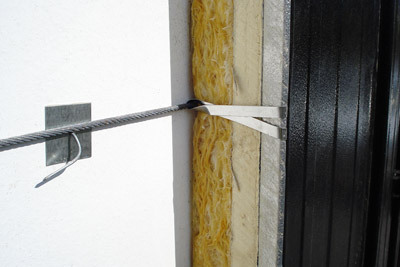 Unlike other insulation systems, our vertical panel insulation does not use exposed screws that can leak or loosen. Locking out water intrusion lowers long-term maintenance costs because it reduces the possibility of energy sapping wet insulation and damaging corrosion. Easily modified in the field to fit tank irregularities, manholes, etc. 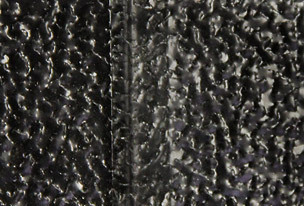 Detail showing panel seam attachment and optional insulation layer. Insulation is precisely fitted to protrusions such as manways and pipe nozzles. Insulation sheathing comes in four standard colors. We can accommodate special requests for custom colors. Installation crews raise an insulation panel into position along the tank circumference. Clips attach the vertical panels to cables surrounding the storage tank. A watertight standing seam anchors the insulation panel in place. 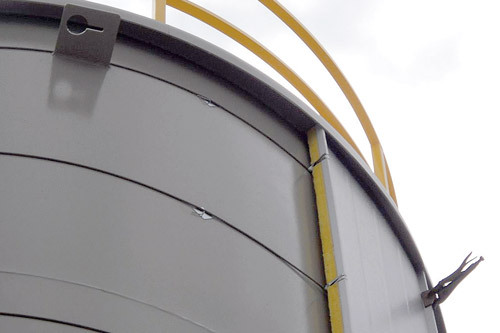 An internal cable and clip system anchored within standing seams firmly holds our insulation panels in place yet also allows for thermal expansion and contraction movements of the tank. This flexibility lowers maintenance costs compared to horizontal insulation systems which need periodic band adjustment to remain in place. Most noteworthy, your storage tanks can remain in service during the installation because there is no need for welding or hot work. 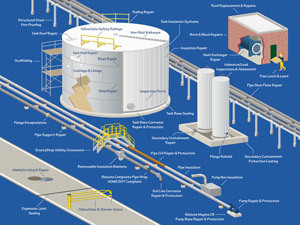 We wrote about how to estimate the cost of a storage tank insulation project in our blog.